Asylum seekers would be shipped to a camp outside of the European Union in proposals introduced by two European leaders in the wake of the refugee crisis. Details of the plans are not yet clear, but they follow shifting political winds, said Susan Fratzke, policy analyst at the Migration Policy Institute. “I would expect in the next year or so the focus will very much be on the external borders, and externalizing the asylum process,” she said. Since 2015, the Syria conflict has pushed a surge of refugees into Europe, pressuring the long-criticized “Dublin” system to a breaking point, blunting public appetite for open borders policies, and sparking the election of politicians touting tighter immigration policies. Austrian Chancellor Sebastian Kurz said during a press conference on June 6 that talks on creating external camps for asylum seekers and already reached an advanced stage. We suggested a long time ago that it would make sense to offer protection outside of the European Union where [migrants] get protection where it is necessary but do not have the opportunity to pick the best system in Europe. With Austria due to helm the European Council presidency beginning in July, Kurz’s comments set the scene for a new approach, as attempts to salvage the old system run aground. Rasmussen said the camp would be in a place that was “not particularly attractive” for traffickers, but did not specify a location. 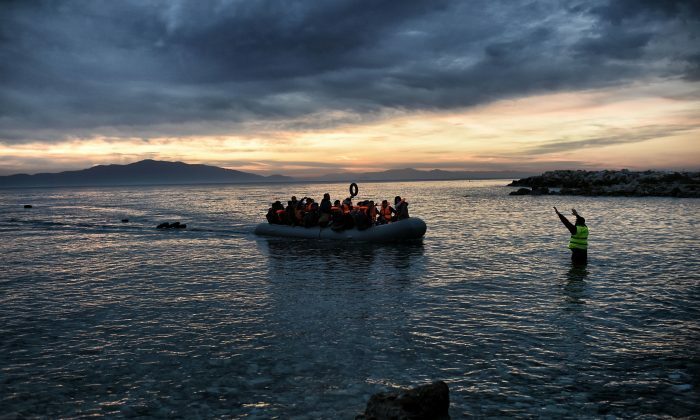 In 2015, over 1 million migrants crossed into Europe, with 307,000 being granted asylum. Around half of them were from Syria, Iraq, and Afghanistan. The approval rate from war-torn Syria was 96 percent. The total number granted asylum peaked at 673,000 in 2016, and dropped to 443,000 in 2017, according to EU data. The EU population is around 510 million. Failed asylum seekers are often not deported. Some give authorities the slip, but others cannot be deported because of further obligations set out in recent European court rulings. Most EU countries are in the Schengen zone, an area of open borders that can be shut only in certain conditions. The question is: who has to process and take care of the asylum seekers? In theory, refugees cannot cherrypick which country grants asylum, and can be sent back to where they entered the EU—a process called the Dublin regulation. In practice, however, this system has been “extremely problematic and difficult to implement,” Fratzke said, adding that it does little to deter people from submitting asylum claims in the country they want to go to. “In theory it puts more pressure on those member states at the borders [of the EU],” said Fratzke. Meanwhile, other countries have long said those states at the EU border—such as Italy and Greece—are failing to manage the border and pushing claimants onto other countries by delaying their applications. Refugees cannot even be sent to other EU countries if certain conditions cannot be guaranteed, as set out in EU court rulings. Proposals of a quota system in the last couple of years were stonewalled by Eastern European countries which have historically had a very low influx of other cultures and nationalities and have recently elected politicians wielding anti-immigration mandates. Refugees also know how to work the system to stay in their country of choice, even removing their fingerprints by cutting or burning them, meaning their point of entry is harder to prove, said Fratzke. “That is why the conversation is now about pushing back the issue outside of Europe,” said Fratzke.